Marketing to Kids: Regulate or Educate? 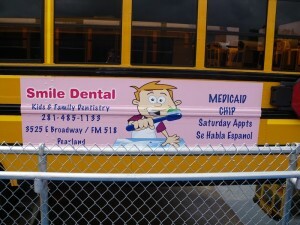 School bus advertisement by Alpha Media. Photo by Alpha Media. I agree with Sirota that the targeting of fast-food ads to communities and youth already dealing with issues of obesity is appalling, and downright dangerous for children who do not understand the ways in which they are being manipulated to want candy, fries or neon sodas. However, I don’t think ever-stricter, reactive regulations are the answer to the problem. At some point, I believe that the regulations start to look like censorship, as the question inevitably comes down to where we draw the line between free speech and the best interests of the American public. As Sirota mentions in his article, regulations on advertising and advertising to kids have been on the books for decades, but that hasn’t stopped messaging to children as loopholes continued to be found and exploited. This seems to imply that so far, regulation has not worked. Is the solution down in São Paulo, which banned outdoor advertising altogether beginning in 2007? Or should we look to Australia and the European Union, who want an end to branded packaging on cigarettes? Does the middle ground exist, and if so, where? As I wrote when the initial news broke about Australian cigarette packaging, legislative attempts to wipe the world clean of harmful advertising are not the answer. I believe in the principle that for every law which exists, someone is out there devising a way to break that law. I can easily envision an eternal legal battle of banning and defining what constitutes ‘harmful’ and ‘advertising’ in the midst of advertising companies and executives insisting that self-regulation works. Plus, do we draw the line at harmful advertising to children? After all, those children will eventually grow up to be adults, and if they haven’t been given media literacy and critical thinking tools in their youth, they are all the more ripe to be swayed by negative and harmful messages in media which are targeted to adults. I want change to come from a media literate, critical mass which proactively rejects harmful media by changing the channel, canceling subscriptions to magazines promoting negative images and writing letters to editors of newspapers that traffic in sensationalism disguised as journalism. I want people to stop spending their money on companies and products which are deceptive in their ad messaging and promote negative images of race, sexuality, gender or religion. I want youth to understand the difference between an ad, a game and an advergame, but I do also believe that some regulation is necessary. However, rather than ban advertising for, say, sugary cereals, I would prefer to see the FTC, FDA, USDA and others agree upon what nutritional elements need to be present before a cereal can market itself as ‘whole grain,’ and then promote efforts to educate the public. Similar efforts should be made to determine when a product can be labeled ‘green’ or ‘organic’ or touted as ‘part of this complete breakfast.’ Marketing standards like these which could be implemented on the basis of factual evidence and consumer education may force a moral imperative on companies which would rather continue with the status quo. Though they would still be contested in courts, they are not censorship, and they empower citizens to make informed decisions. “We could, for instance, reinstate the FCC’s original regulations. Alternately, we could go further by mimicking the Scandinavian countries that fully outlaw child-focused ads. Or, we could follow documentarian Morgan Spurlock, whose new film, “Pom Wonderful Present: The Greatest Movie Ever Sold,” encourages us to learn from São Paulo, Brazil’s success in banning outdoor visual advertising. We are supposed to take a stand. We should not give up, and I believe that is a part of what a city like São Paulo did when they punished irresponsible advertisers by banning outdoor advertising altogether. For responsible media driven by a critical mass, I choose proactive education over reactive regulations. Hi Emily, So hard to put a complex idea into 140 characters! I haven’t written about advertising regulation yet– it’s such a complex and controversial topic and I guess I’ve been a coward. Thanks for diving in and getting a conversation started. But I have made my support for more media literacy education in schools quite clear, and worked to get media literacy into my own children’s schools. It’s desperately, desperately needed and so very rare. http://www.marketingmediachildhood.com/2011/05/case-for-media-literacy-education-in.html So thanks for your support! However, in my view, regulation and education are not mutually exclusive. And even if we did ban all advertising to children, we would still need media literacy education. So I don’t think it is necessarily a matter of choosing one or the other. A couple of points: I don’t think you can say that regulation has not worked because we don’t actually have any regulation of children’s advertising in place. As David Siroto notes, corporations forced deregulation of children’s advertising in the early 80s. And as far as outright banning of ads: We already do ban ads that are misleading, or deceptive, and we don’t consider that censorship. When you consider that studies show that until they are about 8 years old, children have a hard time understanding the persuasive intent of advertising, clearly advertising to young children is in fact deceptive. Very young children are being targeted by advertising at an age when media literacy education just isn’t going to be effective. It would get tricky, though – when you try to determine what ads are targeted at chidren, for example. Some will be obvious, others less so. So there are certainly concerns about regulation. This is such an important topic today, for the future health and well-being of our kids and our society. I’m glad we are talking about it. Thanks Erin–I too am glad to be talking about it. I 100% agree with you about education and regulation not being mutually exclusive, and loved your piece about needing more media literacy in public schools as regards the Scholastic/coal partnership. Also, to clarify, the regulation I meant referred to the Children’s Television Act of 1990, and I should have stated that explicitly. I also consider self-regulation efforts in place since the 1970s to be only partially effective, mostly because, as you say, there is a lot of gray area when it comes to defining what counts as advertising to kids. Essentially, I think we can do better without having to resort to Sao Paulo-type extremes. Keeping the dialogue open is one way to press on in the right direction.